The lumber industry has a lot of terms that are often very tough to navigate especially if it’s the first time anyone considered buying wood. 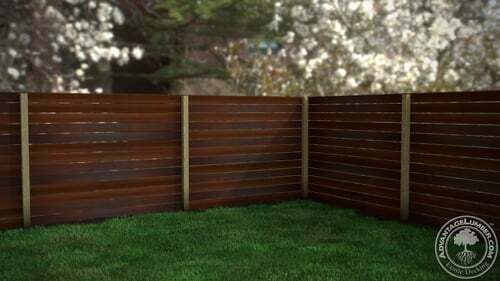 Most wood products are sold per piece or per square foot. Often a lot of people won’t know how to convert from square feet to linear feet and if they order amounts per the square foot then there will be a very big shortage of material. 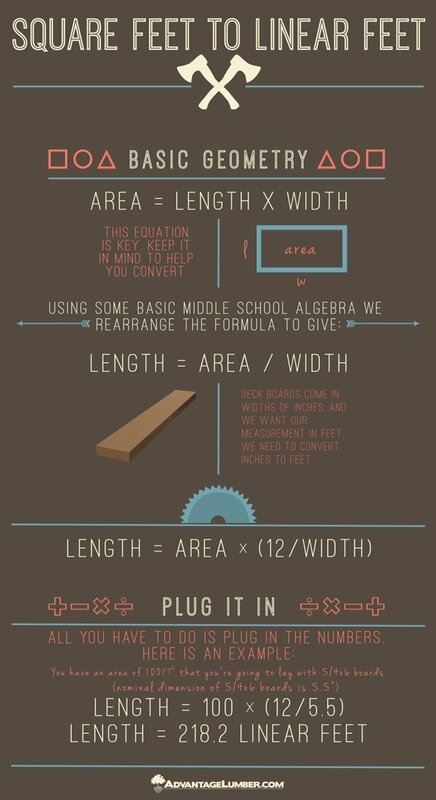 Luckily we do provide a handy dandy square feet to linear feet calculator that’ll do the hard work and a page that explains what lumber sizing is! But, have you wondered how exactly the calculation happens? This entry was posted in Deck Tools, How-to Build, Uncategorized and tagged conversion calculator, Deck Calculator, how to, square feet to linear feet calculator on November 18, 2014 by Mr. Ipe Hardwood.